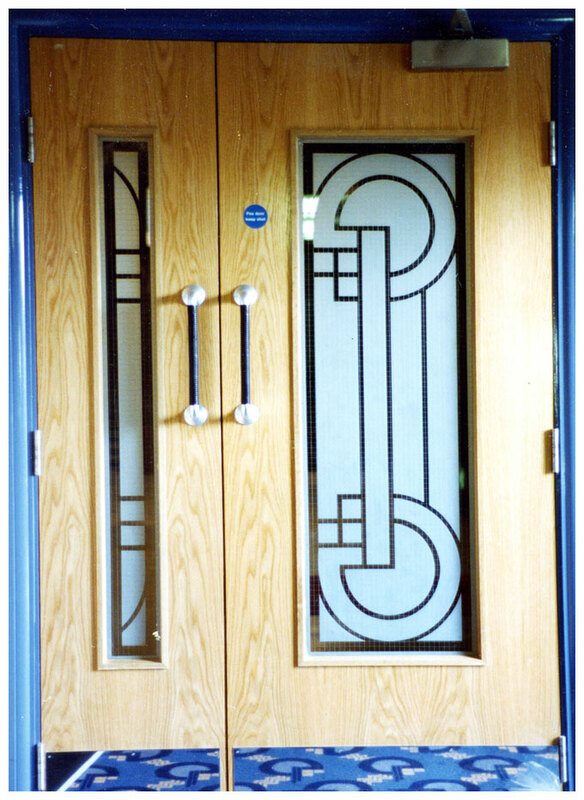 Mirrors and glass panels can be engraved on both sides. Part of a large shop divider measuring 2692 x 1473 x 8.8mm laminated safety glass. This was sandblasted on both sides with the SuffolkCoast skyline, the water and the seabed on the back. The logo is cut deep on the front. 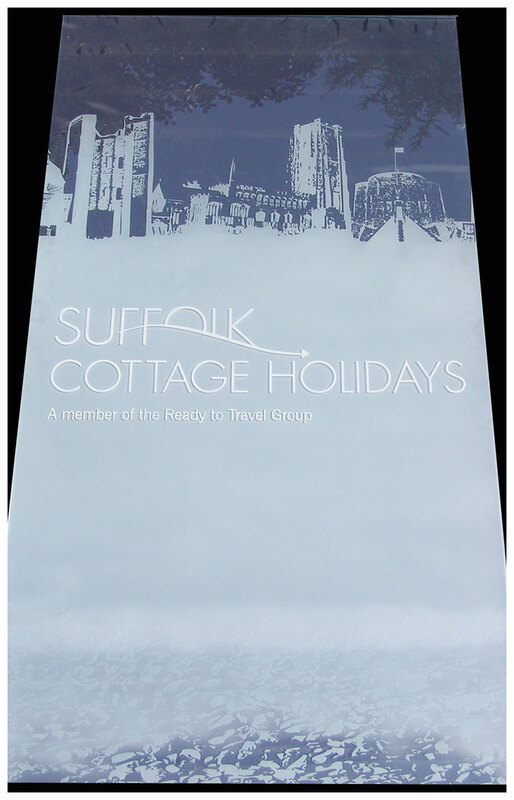 Suffolk Cottage Holidays delighted. 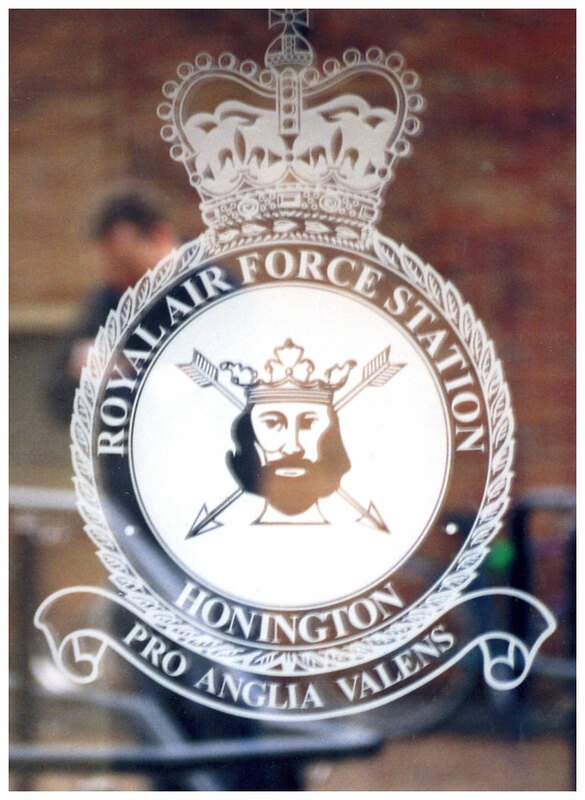 A bad photo of new doors installed at RAF Honington. They look better in real life! 60 door panels and some colossal mirrors installed at the Stag theatre.